There are two types of kitchen drains: drains with a garbage disposal and drains without. When choosing your family’s drainage solution, you should consider how often your family cooks. For families that enjoy communal cooking or entertain frequently, a full garbage disposal system is a necessity because it provides a quick and environmentally-friendly way to dispose of food scraps, so you can get back to making your meal. On the other hand, if you consistently dine out at St. Louis’ many great restaurants, a basket strainer could be the perfect, cost-effective solution for you. No matter which drain you choose, though, the many innovations in drainage and disposal means you will never again have to fish out a soggy piece of food from inside your sink or experience panic when murky water starts filling your sink’s basin. Whether you choose a simple but effective basket strainer or a sophisticated garbage disposal system, you should never leave your drain completely unprotected from food scraps and debris that can clog your kitchen sink. Clogged drains are one of the most irritating kitchen problems, especially in busy households with multiple people constantly using the space, so an investment into the right drainage solution now will save you headache and frustration later. A basket strainer is a simple but effective solution for clogged drains. Also known as a crumb cup, basket strainers include a grated basket for catching any debris and a built-in stopper that prevents food waste from dropping into the drain when open but fills the sink with water when closed. 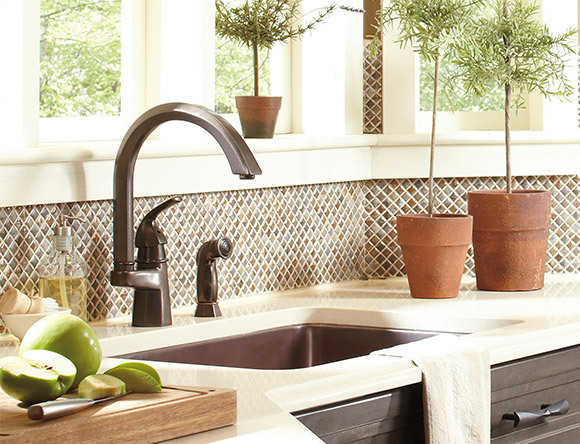 While all basket strainers have the same purpose, they come in a wide variety of finishes and styles, so you have a functional and decorative fixture that matches your family kitchen’s unique aesthetic. If you choose to implement a garbage disposal system, you will need a disposal flange. 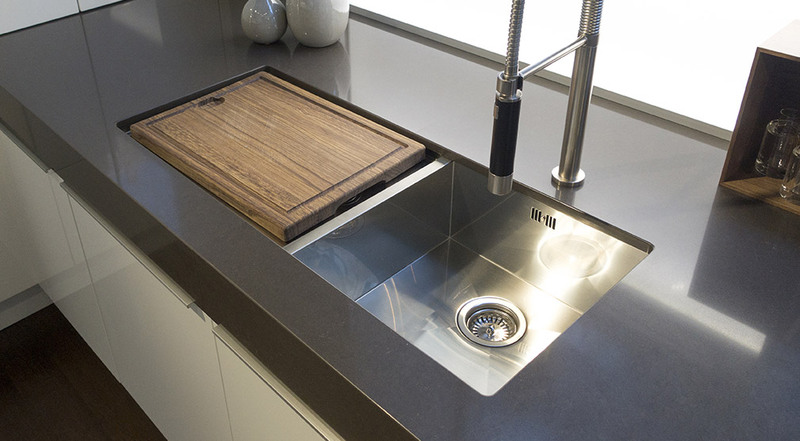 The disposal flange is a sloped ring that connects the garbage disposal to the sink, ensuring water runs smoothly into the drain. Because they are attached directly to the garbage disposal, make sure you choose a flange that is compatible with your disposal. 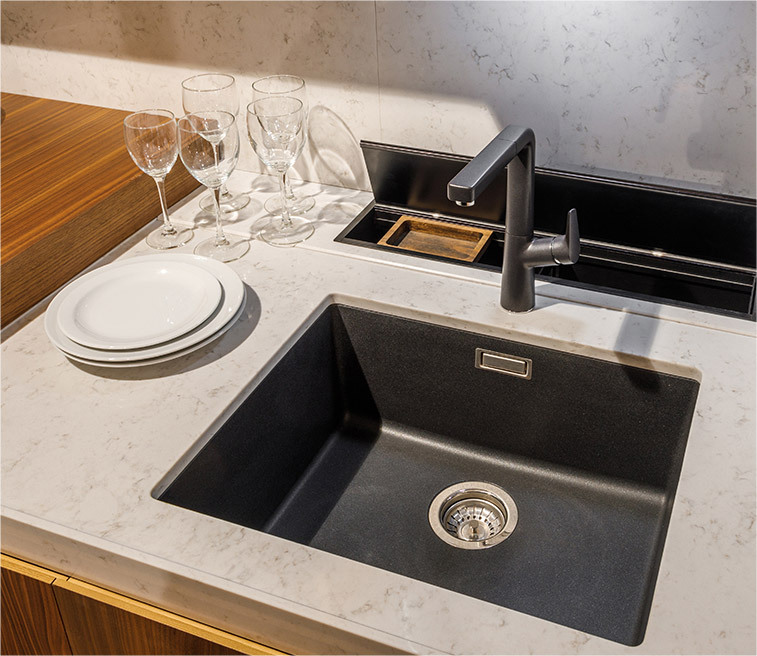 Whether you value convenience, pride yourself on being environmentally conscience, or just want a kitchen with all the best accessories, a garbage disposal system is one of the best investments you can make in your kitchen. Not only does the disposal chop food into small enough pieces that will not clog your drains, it also reduces the amount of food waste that goes into your trash can. This discourages bugs and pests from invading your kitchen, decreases the number of times you have to take out the trash, and provides a more environmentally-friendly disposal of scraps that would have ended up slowly decomposing in a landfill. With a wide variety of types and features, there are many options of garbage disposal systems to choose from to satisfy any modern family’s needs. Contact the experts at Henry Kitchen & Bath if you are deciding which drainage system is best for you and your family’s needs. 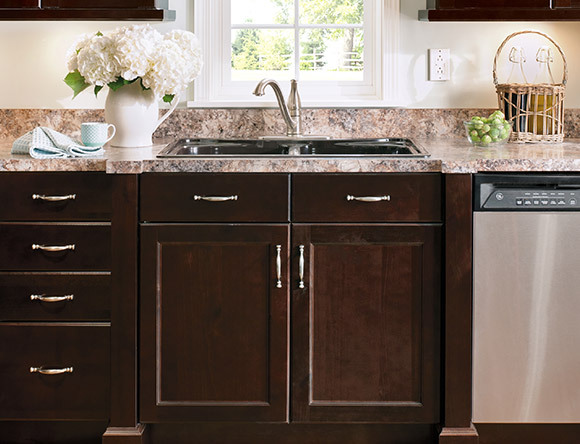 If you choose to implement a garbage disposal in your kitchen, hiring a professional with experience installing disposal systems is the best way to ensure your new disposal will run smoothly for years to come. Choose Henry Kitchen & Bath for your next kitchen remodeling or renovation project – We can make your vision come alive!